Move up or move out. When those two options appear to be the only ones, dissatisfaction grows and engagement suffers. In decades of studying careers around the globe, Beverly Kaye, Lindy Williams, and Lynn Cowart have found that, in fact, there are more options. And rethinking career mobility can lead you to them! 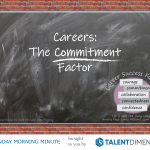 Career mobility isn’t just about moving to a new city or country. It’s about stretching, learning, and transforming. Whether you’re working on your own career or you’re a manager, a mentor, or a coach helping others, Up Is Not the Only Way offers you six ways to build successful mobile careers. Keep the same job but discover multiple ways to learn and grow while staying in the same place. If a new job in the same company is in the cards, experiment and test possibilities. Make a lateral move as a powerful way to develop new skills. 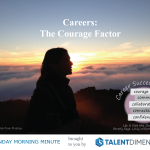 If stepping back is the right answer, discover how it can be done without derailing a career. Pursue a promotion when it’s the right time and role. And if it’s time to step out the door, the authors suggest how to make an elegant exit that maybe leaves open the possibility of a return one day. The book includes important questions to consider—about interests, skills, values, and timing—when choosing to enrich or make a change. For each option, Up Is Not the Only Way explores how managers, coaches, and employees can have rich career conversations and partner to determine the best courses of action. Rather than narrowing aspirations to one dream job or role, Kaye, Williams, and Cowart encourage readers to take a “kaleidoscope” view—to be open to ever-shifting patterns of options, opportunities, and possibilities—to build a rewarding career. Stay interviews prevent exit interviews! A. Conduct a survey—then try to guess who said what. B. Take note of their latest tattoos. Is your company logo among them? The correct answer is C. It’s the opening line of a great stay interview, and it could make the difference between keeping and losing your best people. Worried that your talented people will want things you can’t deliver, like more money or a big promotion? Beverly Kaye and Sharon Jordan-Evans have a simple four-step process for dealing with that. Not sure how to get started? They provide dozens of suggested questions and icebreakers. Think you don’t have time? They offer all kinds of creative time-saving options for where, when, and how you can do stay interviews. Since employees who walk out the door cost their companies up to 200 percent of their annual salaries to replace, retention is one of the most important issues facing businesses today. And with so many surveys reporting that employees are unhappy and not working up to their full potential, engagement is a second serious and costly issue. The latest edition of this Wall Street Journal bestseller offers twenty-six simple strategies—from A to Z—that managers can use to address their employees’ real concerns and keep them engaged. Let’s face it, we don’t always do the things we know we should. We know that we should exercise more, eat better, or get more sleep. As managers it’s the same thing: we know how important it is to help our employees develop and grow but maybe we don’t do it as well or as frequently as we could. This book will help you change that. Get the simple tools, competence, and confidence you need to fully support your employees. In this immensely practical book, the bestselling authors Beverly Kaye and Sharon Jordan-Evans show us how to take control of our careers in a world of uncertainties. This is the employee handbook for taking action, ownership, and accountability for our own careers and happiness. Following the groundbreaking work of Love ‘Em or Lose ‘Em, this book provides the crucial next step for creating a more fulfilling workplace. Whether it’s developing high-potentials, bolstering employee learning, or building self-confidence, this book provides the fundamentals of career development along with the practical tools and approaches to get the job done. With a combination of research, imagination, and fun, bestselling author and expert Beverly Kaye helps us to take control of own development destiny while providing leadership and guidance to those who surround us. Leaders, peers, HR professionals… nearly everyone can take on a coaching role. But doing it well takes more than a casual conversation. In Coaching for Leaders, the world’s best coaches come together in a single collection to present an advanced tutorial on the art of coaching. From increasing your influence to practical coaching strategies, this book covers every base. This book features a chapter written by Beverly Kaye and Beverly Crowell. Whether you’re an experienced coach or a novice this is your single best resource for getting the concepts, practices, and techniques you need to step up your coaching game. Three iconic figures in the world of talent management – Marshall Goldsmith, Beverly Kaye, and Ken Shelton – wanted to know, how do leaders learn? And not just in the classroom or in the boardroom… but in life. In Learn Like A Leader, you’ll read thirty-five remarkable stories of personal learning that shaped the lives and life’s work of some of today’s most prominent business figures.